In my early days, I had an aversion to the world of sales. I assumed it was an undesirable discipline where you’re inauthentically raving about an ‘amazing new product’ while everyone within earshot is silently rolling their eyes at you. Over the years I’ve come to realize that this is most definitely not the case and I have actually been “selling” without even realizing it 😅. I essentially pivoted my perspective from “selling” to “the art of persuasion”. I leverage my user empathy skills to understand the recipient’s intrinsic motivators and position my “pitch” such that it is mutually beneficial. Funny enough, the sales skill has persisted throughout my career as a Product Manager and I have come to recognize and admire the many nuances it carries. Below I detail a few areas where sales comes into play in a PM’s daily life. Sell to management for why X needs to be built. Go in with a push rather than a pull approach. If you aren’t actively telling your manager what your team needs to build next & why, she’s just going to figure it out and inevitably give you a task list to fulfill. This is when all of your strategic product management dies and you are now a glorified project manager 😑. 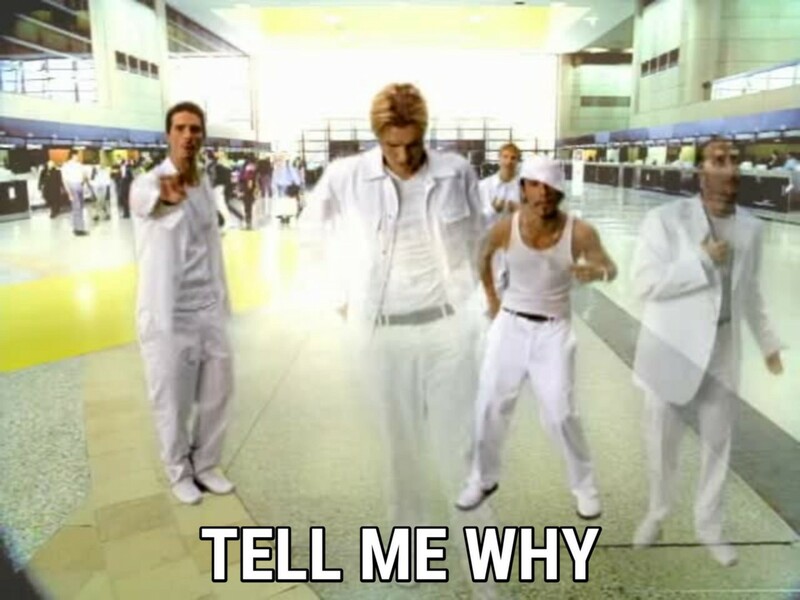 As a PM you should always channel your inner Backstreet Boy and answer: “tell me why”..we need to build this? Remember that management doesn’t always have an intimate understanding about what users are saying and what the analytics dashboards are indicating like you do. As an individual contributor, you need to quickly and consistently merge your findings to develop the strategy for why you need to build Y next. Indicating “we need to build Y because 45% of our customers are complaining about it and our daily active usage has dropped by 35% over the last month” will always be more persuasive than “I think we should build Y” #TellMeWhy. Engineers are your greatest ally as a Product Manager. I truly believe demonstrating empathy for your engineers regarding their time and skills will motivate them to work harder for you. Engineers don’t want to feel like task rabbits. They want to be involved in the strategy of the product as well and it is your job to encourage the collaboration. I recommend you highlight your customer feedback and dashboard findings to your engineering team on the regular. Additionally, bring forward as much as you can about what the team can expect to be building within the next few sprints. The ability to anticipate what is coming next also helps Engineers understand how to better structure software now so that it easily scales with the future product. Be the PM that knows the details about customers and data at the drop of a hat, but also takes the responsibility to have her user stories & bugs (complete with mocks, acceptance criteria, QA details, etc) ready to go so things keep moving as efficiently as possible. The one area that is often overlooked (outside of an interviewing setting) is selling yourself as a PM. I believe you should demonstrate your worth on a daily basis and help your team recognize why you are the best person for the job 😎🏆. Be detailed, be empathetic (to your customers & team stakeholders), be focused, be a team player, be strategic, be confident and be the PM that everyone can depend on. Continuously and actively getting sh*t done will prove your worth and will demonstrate why others should work with you and why you are deserving of that promotion, when the time comes. I also encourage you to periodically reach out to Product Management leaders for casual coffee chats where you can learn more about how to elevate your PM skills and take yourself to the next level, irrespective of the baseline that is within your company ☕️ 📈. Persuasion is a key nuance to Product Management that will help you in the long run. It’s essential for your day-to-day work with stakeholders. But it’s also an inherent characteristic of the PM who wants to be (or is) a leader, especially one who wants to push through unchartered territory to get the job done. I sincerely appreciate feedback and would love to connect!